Howdy Infiniteers! It's pretty clear in the wake of the Disney Infinity cancellation announcement that all official challenges and community content have ended, but some of us just aren't done building. And in my case I'm just not done streaming! So I'm challenging you all to keep building and we will do a test run of this with the Alice Unofficial Challenge. Basically I want you all to build some content for me to stream live using the new Alice, Mad Hatter and Time figures. THERE IS A CATCH: due to limitations on friend share I can only see friend shared boxes from users who have (at one point or another) played Disney Infinity on a PS4 and have me friended via PSN. Now that is NOT to say that there aren't ways to get a box off of PS3, XBox or WiiU to me, it just isn't something that we can do without help. Aka someone with both consoles will need to ferry it across to me. If you want to build something on one of those consoles try to find a friend who can help you get it to me before putting too much time into it. I'm hoping community members (and I've already seen some volunteer) will band together to help make this happen which is why I posted this here on the forums. To be clear I have zero intention of actually ranking these Toy Boxes. The challenge is to keep building even when we don't know how much longer we can do so. This is more a community fun thing to have some boxes floating around on friend share for the new figures. Absolutely a great idea and way to continue our Community Toy Box Challenges and Toy Box sharing and I would like to help. 1. 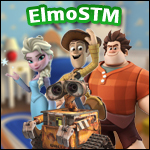 Currently Toy Box's are uploaded to the Disney Infinity Servers and from those Servers we can download those Toy Box's or play them directly on our gaming consoles. When we download and/or save the Toy Box selected or progressed saved that goes onto our (if we have a PS4 Playstation Plus Account) onto the Sony Playstation Plus Cloud Save and/or our Local Console save game slot. Do these saves exist on our Sony Plasytation Plus Cloud Server and onto Consoles Save game slots? (the limit of 300 being set by Disney Infinity as to our being only being able to save 300 total Game Saves and downloads to our PS4 Playstation Plus Cloud and Console not on the Disney Infinity Servers). 2. How can we create a daisy chain for sharing Toy Boxes and keep weekly Toy Box Challenges going? 3. Can we use changing ownership of a PS4 console when connected to a friend or by a friend to save a Toy Box to a USB drive for later addition to a PS4 console once ownership is changed back? I do not own an XBOX 360 One or Wii so don't know how this would apply for those users. My overall concern is that Disney's cancellation of Disney Infinity will not allow us to share Toy Boxes through our gaming consoles and be challenged to create our own Toy Box's and Toy Box Games thus reneging on the core reason why many of us bought Disney Infinity to create and play with our friends and families in the Toy Box. If this catches fire I would hope the xBox and pc users would be able to formulate a similar scenario. Not having access to the text creator after the community servers go down is that part that bothers me. seems like to me they would just disabled the word filter on the text creator so you could type anything instead of their servers checking it. In return you could type anything at all like curse words or any other thing. That would be very simple for them to do instead of having to actually disable the tool all together. @iamthasasquatch They will never do that. 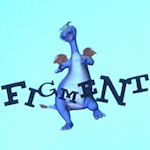 Disney wouldn't want videos of Disney characters "saying" cuss words surfacing on the Internet. @Zmillfarmer I meant to answer you last night but the volume of your post I didn't have time to address it all until right now. 1- I'm confused what the ACTUAL question is here. I read it twice. And I'm still confused. The PS+ back up system duplicates your Infinity save data and backs it up to the cloud. So it is a clone of your console save and has nothing to do with individual boxes or the box limit of 300. But I may completely be misunderstanding what you were trying to say. 2- This is basically what we are doing here. People with multiple consoles can pass boxes for people and people extra trusting can give someone like me their log in info to log them into the PS4 version to cut out the middle man. But we can only go as long as the servers are up because friend share is Disney cloud dependent. 3- Another one that confused me. But I will say individual toy boxes can not be saved to a thumb drive. Your WHOLE save can be but will only function on profiles with the matching PSN logged in. You can't duplicate the save file on a different PSN profile. You receive an error saying the save file is from another profile. phew. Keep the questions and comments coming guys. I will try and clarify question 1, my original post, since the meaning of Cloud saves is confusing to me. When PS+ has a Cloud Save of a ToyBox and a Local Save on my PS4 it is different and dependent on the Disney Infinity Toy Box saves on Disney Infinity Server. Correct? Both Disney Infinity and the PS4 refer to Cloud Saves which I was hoping meant that once I downloaded a Toy box onto/into my Console and my PS+ Cloud save would mean that that Toy Box was now on my Console and was no longer dependent on the Disney Infinity Servers. Unfortunately your answer to my question 2 means that without the Disney Infinity servers up the dependent Community Toy Boxes on their Server will basically only will leave us with whatever we have downloaded to our PS4/PS+ once they take their Servers down or will they go away too? (What you and others are offering to do to keep Challenges ongoing is amazing). My question 3 was implying that all Disney Infinity Save data, on ones Console, would be copied to a Thumb drive but the issue of who's User Profile is attached to that Thumb Drives saved data makes it a challenge to exchanging Thumb Drives. As far as I can tell trying to share a "Universal Profile" would be highly unsafe. There is also the issue of protecting the integrity of the characters and Disney intellectual property while remaining true to concept. 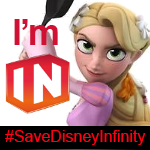 Can we discuss proposing a Community Supported Server since it looks like we have over 8,000 petitioners trying to save Disney Infinity and with the right funding we might be able to engage qualified support personnel? If we have 6 months or so till the Severs might be going down there might be time to explore this. Also guys, is there any new alice content at all with the update to add to my upcoming box?